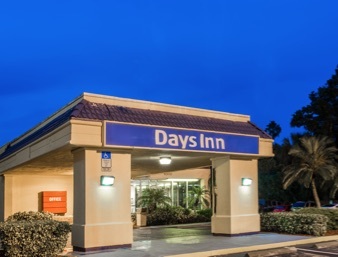 Ideally situated off Interstate 95, Days Inn Melbourne hotel, near Space Coast Stadium, is a great place to stay whether you are traveling on business or for an exciting Florida getaway. Each morning at our Melbourne, FL, hotel, we serve a free Daybreak continental breakfast. Use free Wi-Fi Internet access to scout out area attractions from your hotel room, enjoy an invigorating swim in our seasonal outdoor pool or take advantage of guest laundry facilities to make the most of your time in Melbourne. 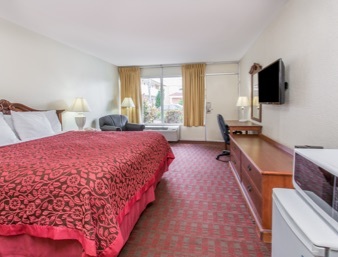 We offer free truck, bus and RV parking and non-smoking rooms are available. Kids 17 and under stay free with an adult at our pet-friendly hotel. Melbourne International Airport is just two miles away. There is so much to see and do near our Melbourne, FL, hotel. 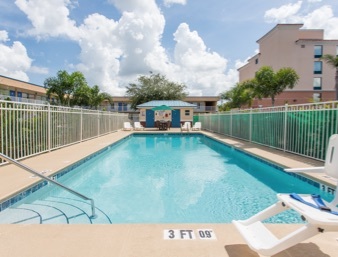 Swim, splash and soak up the sun at beautiful Melbourne Beach. If you are traveling for business, book your hotel room here for quick access to major companies like Harris, the City of West Melbourne and more. Catch the latest Hollywood blockbuster at Cinema World Movie Theater, a short walk from our hotel or check out Washington Nationals spring training at Space Coast Stadium. Melbourne Square Mall features dozens of popular shops and restaurants just three miles away. For family fun, action and excitement, head to Andretti Thrill Park, where you can ride go karts, race along the water in speeding boats or relax with a game of mini golf. Denny’s is adjacent to our Melbourne, FL, hotel, and many popular restaurants are close by. Enjoy a fun night out at The County Line Saloon or try Japanese specialties at Haru Sushi Bar & Grill. Grab a burger or some traditional Greek cooking at Harbor City Diner or enjoy spicy Tex-Mex at Fiesta Azteca, minutes away. Fast-food options are also nearby. Copy, fax and printing services are available at our hotel in Melbourne, Florida, and our business center features high-speed Internet access.